Dark Horse is proud to announce the promotion of Melissa Lomax to the role of director of Marketing. 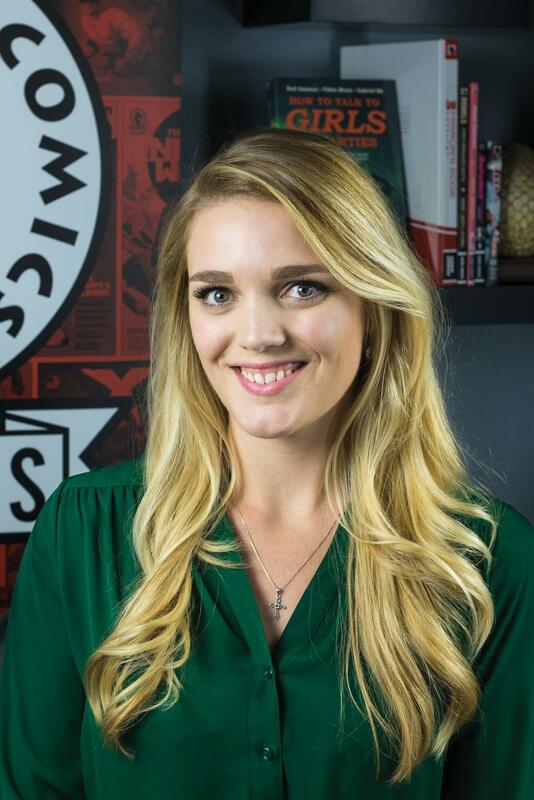 She will be responsible for helping to oversee the Marketing department in bookstore and direct market business strategies, digital publishing, promotions, social media, and advertising. “Melissa has proven herself to be a great asset to the company. Her hard work and dedication have been an example for us all,” said Dark Horse’s president and publisher Mike Richardson. Melissa started her career at Dark Horse Comics as a summer intern in the Marketing department in 2007 and 2008. In September 2009, Melissa was hired as a public relations coordinator following her graduation from Pacific Lutheran University. Through hard work and dedication, Melissa has been promoted from coordinator to manager and now to director in the Marketing department. Melissa holds a bachelor of arts in communications with a focus in public relations and advertising and a minor in history. Melissa has been a member of Pacific Lutheran University’s School of Arts and Communication advisory board since its inception in 2013. Please join us in congratulating Melissa Lomax on her past accomplishments and wishing her luck in her new role in the company!